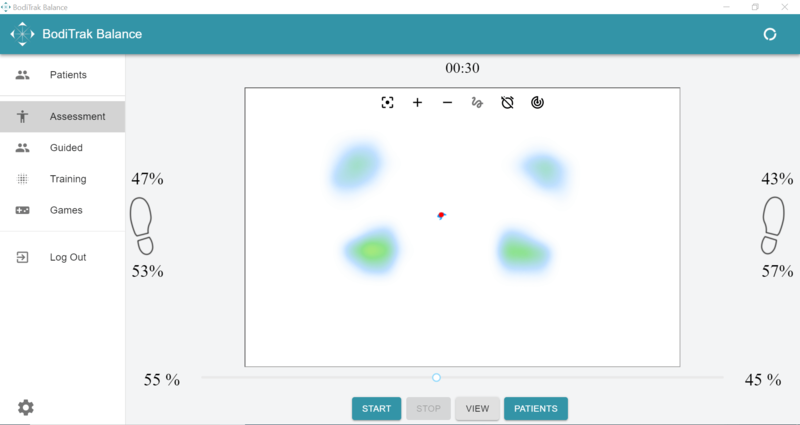 BodiTrak Balance software uses a pressure mapping sensor to provide center of pressure and vertical force information in easy to understand software, showing the patient's movement and foot pressures. 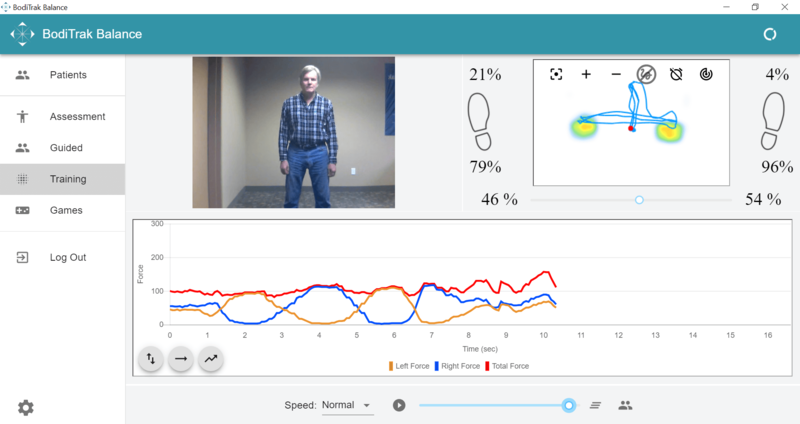 The system displays and documents patient stability by providing, range of motion, acceleration, standard deviation, total sway and weight bearing from side to side and heel to toe. 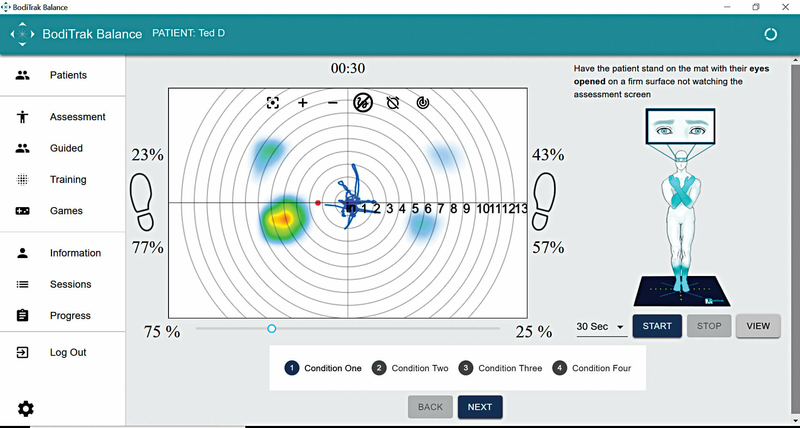 The center of pressure trace is easy to understand and is a powerful training tool, giving a quick, clear view of how the patient is performing the assigned task. Statistical data and graphs in the reports document what the therapist observes. It's designed to assess how well individuals are using sensory inputs when one or more sensory systems may be compromised. 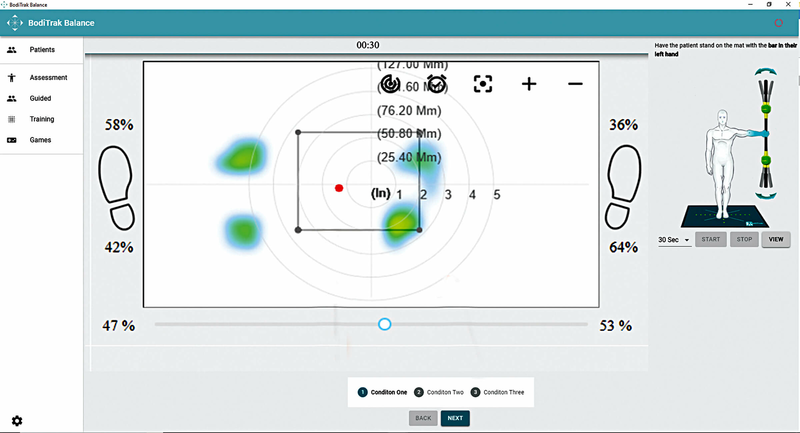 BodiTrak Balance includes a step by step wizard leads the clinician through the mCTSIB tests. 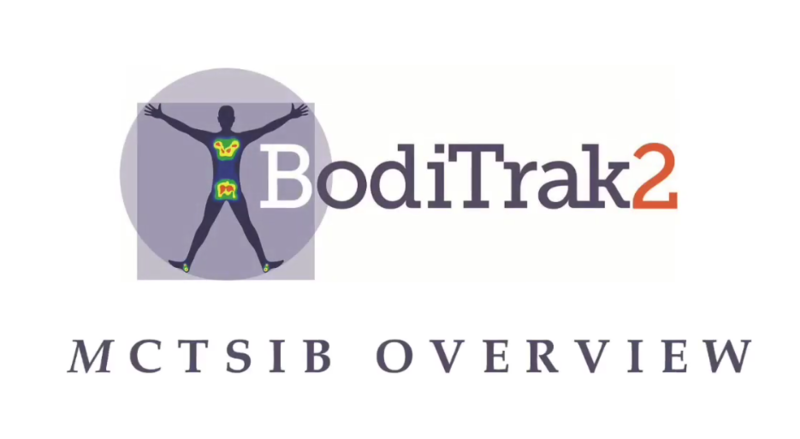 Using BodiTrak Balance with mCTSIB provides objective data that supports the clinicians subjective observation of sway. Guided: CTSIB Clinical Sensory Interaction in Balance using VR to perturb client. This mode allows the clinician or user to record and playback a session of up to 30 seconds. Center of Pressure and Vertical Force are displayed. CoP radar display is a selection to observe distance in movements. 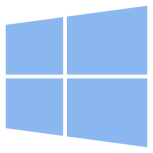 A Range of Motion box can be described on the screen to set a target for the user. A tone will sound if the CoP touches or crosses the boundary of the box. It's a useful tool forchallenging a user during training to work to an increased ROM. 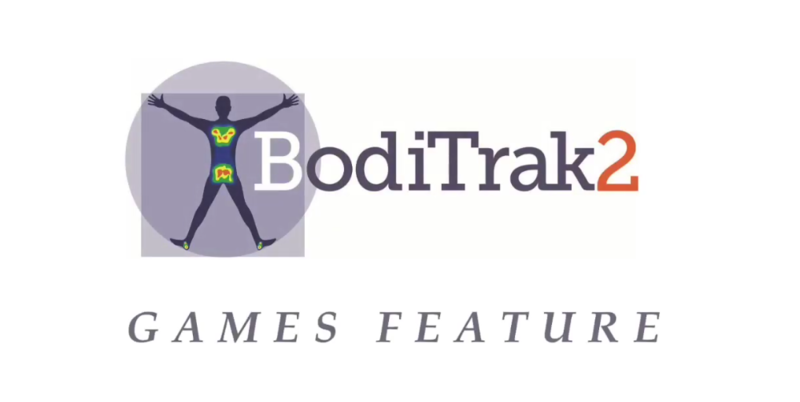 BodiTrak Balance includes three different games that use CoP to evaluate stability. Using the games a patient's initial level of stability is benchmarked for review against gradually increased diff​iculty in the gamessettings. 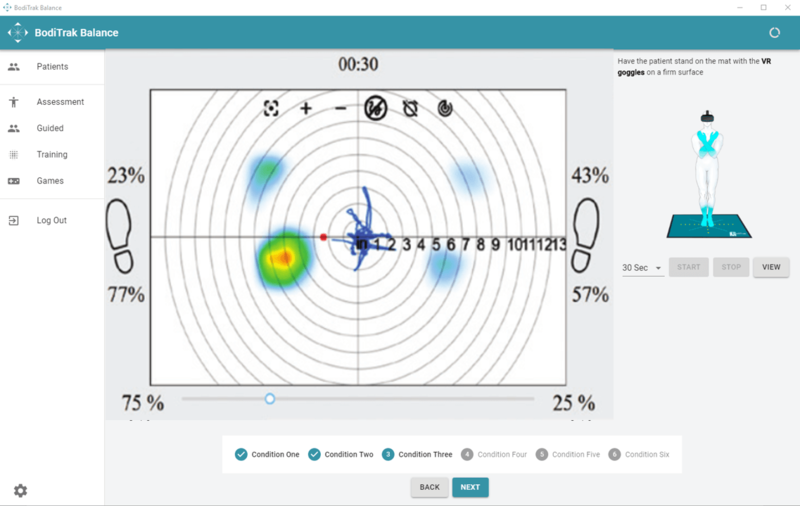 The games are fun and engaging biofeedback training tools. 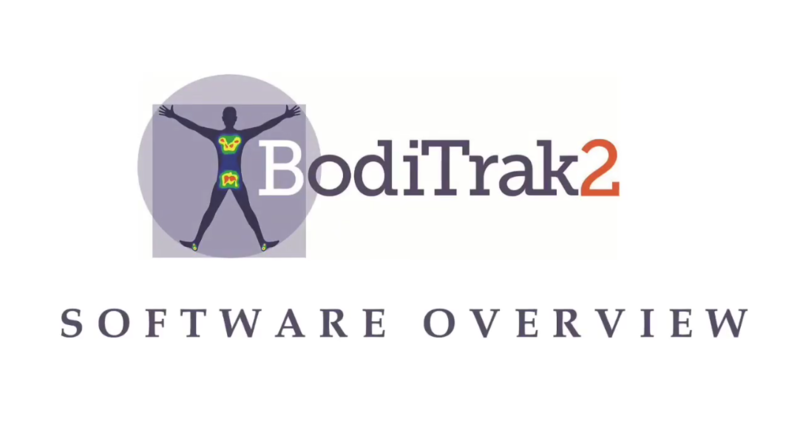 BodiTrak Balance tracks the patient's performance over time documenting their improvement in game play scores.